His Excellency Dr. Ismail Sallam was the Minister of Health and Population of Egypt from 1996 to 2002. During his tenure, Dr. Sallam led sector reform strategy that changed the image of Egyptian health care and improved the country’s key health indicator ranking to 43rd out of 191 countries (WHO, 2000). An active member of the Egyptian Parliament for 16 years and a majority leader of the Upper Chamber. Dr. Sallam has served as Chairman of the Executive Council of the Arab Ministers of Health, the League of Arab States, the Executive Bureau African Ministers of Health, and the Organization of African Unity (1997 – 2002). 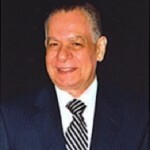 Dr. Sallam received the United Nations Award (2000), the Award of the World Health Organization Prize (1999), the Award of the American Academy of Emergency Medicine (2001) and the United States Surgeon General’s Medallion, USA (2000) for leadership in developing a National disease Prevention and Health Promotion Agenda for Egypt among other achievements. He is currently a Professor of Cardiovascular Surgery and chairs three charitable organizations.